Darphin is an indulgent and pampering beauty care range created by Pierre Darphin, a Parisian kinesiotherapist, back in 1958. 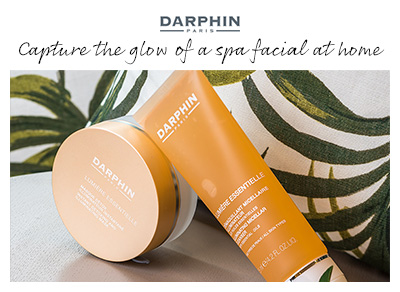 This revolutionary brand uses a professional collection of the most luxurious plant based formulas - all unique to the Darphin brand. With the understanding that pleasure plays a big part in enhancing beauty, every formula and essential oil used in this range will stimulate the mind and body, giving the most incredible results and pampering feeling.